Presented as part of the Workspace 2014 series, featuring the work of LES Studio Program artists-in-residence. 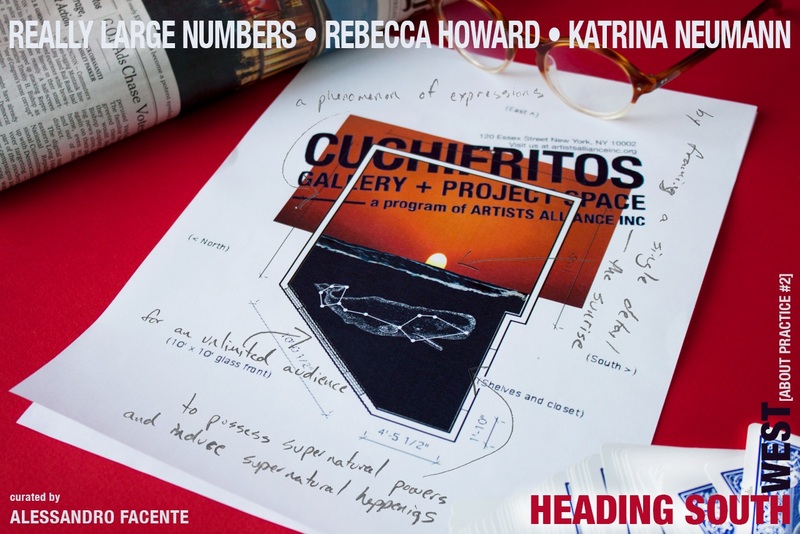 Cuchifritos Gallery + Project Space is thrilled to present Heading Southwest [About Practice#2], a group exhibition of recent work by Really Large Numbers (Chad Stayrook and Julia Oldham), Rebecca Howard and Katrina Neumann, curated by Alessandro Facente. 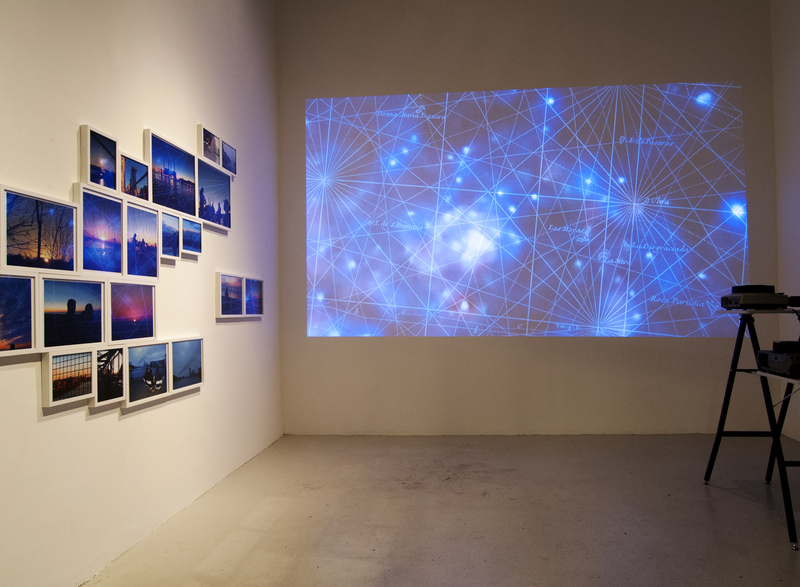 Through a combination of video, site-specific installation and off-site performances, this exhibition introduces the work of three artists whose practices attempt to reveal the irrationality of our surrounding reality, leading the viewer to reflect on the concept of reality as a vision layered with hidden functions. The composition of the exhibition is intended to create the impression of totality for the viewer, manipulating various manners of perspective, scale and immersion. Thus, each in their own way, Really Large Numbers, Rebecca Howard and Katrina Neumann create fictional narratives and mythologies, by disrupting, manipulating and stretching the visual possibilities of the external stimuli around them. Using their dreams, various signs, sounds, printed texts, ordinary objects, as well as natural landscapes that populate their experience, each artist produces a phenomenon of expressions that are at once ‘abnormal’, ‘surreal’ and ‘magnificent’. The dreamy, musical performance Whale star by Really Large Numbers is exhibited in the form of a video documenting the collaborative’s first performance of the piece on September 22, 2014 at the Artists Alliance Inc studios for a restricted audience. For this installation, the video is over-sized, stretched beyond natural proportions, using this re-staging as a means to expand both the scale and access of the work beyond its original state; now taking place in a continuous loop within Cuchifritos Gallery, for an unlimited audience. In this piece, The Captain (Chad Stayrook) and Figurehead (Julia Oldham) sing a duet about their shared pursuit to capture one another’s individual perception of a whale seen in both the sea stars. The Captain is tracking a whale in the sea, while his ship’s wayward Figurehead has fallen madly in love with the navigational star Mira, a point in the equatorial whale constellation Cetus. By day, the Captain records a ship’s log revealing his confusion and conflicting desires as his navigational efforts are mysteriously thwarted. When night falls and the Captain sleeps, the Figurehead undoes all of his forward momentum as she chases after her beloved whale star in the skies above. Also particular in size, though simple and intimate, is Rebecca Howard’s work Beyond the Visible and Back Again, an exploration into the nature of objects. The work combines both image and spoken narrative with the intent of changing how these ordinary objects might be perceived and imbue them a sense of the ‘abnormal’. The series of objects focused on in the work are based upon a group of objects featured in the 2006 sci-fi television series ‘The Lost Room’; the objects featured in the series were said to possess supernatural powers and able to induce supernatural happenings. Howard’s work probes the notion of everyday objects having the ability to behave beyond their static function and creates a narrative around this. 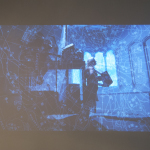 The work draws from narrative structures and cinematic techniques within different forms of fiction, in particular science and meta fiction. 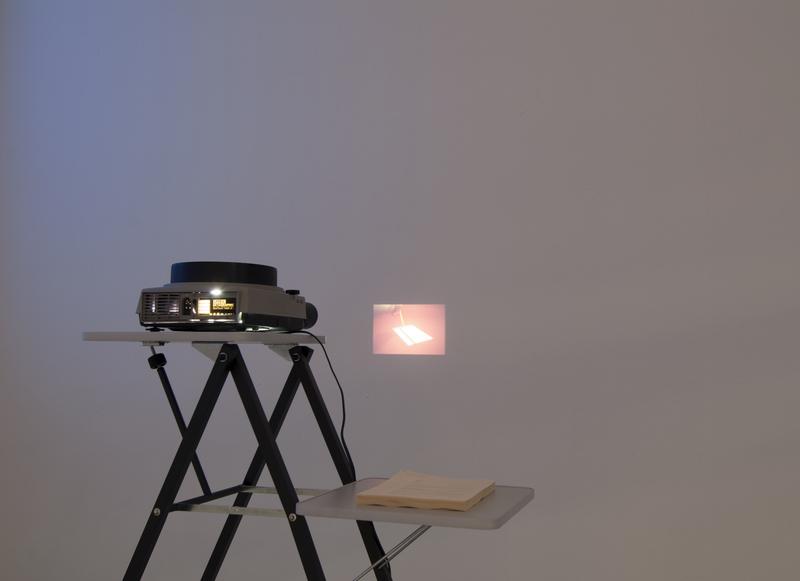 The objects will be seen on a series of 35mm slides and through the interplay between text and image, the piece creates animation to events and ideas beyond the visible. Howard will present a live performance of this work on the opening night and the ‘relics’ of this will be on display throughout the exhibition. 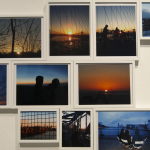 On a more conceptual level, Katrina Neumann’s work is presented over time as a durational piece consisting of a series of Sunrise Tours around the Lower East Side (private apartments, roof tops, bridges, city streets etc.). Small groups of two to three people are invited to enjoy the rising of the sun through a structured and undisclosed itinerary of shared experience. Their objective is to challenge one’s unimpeded perception of reality, by framing a single detail—the sunrise—in order to induce a dislocated condition which forces a shift in our relationship between time and perceived space, as well as to experience of our everyday environment in all of its splendid beauty — to find slowness in chaos. 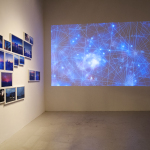 While these tours will use the gallery space as a point of departure and continue off-site, the exhibition space will serve as an on-site extension of these external relational actions, an ongoing archive that grows over time, collecting traces of documentation and participant impressions. 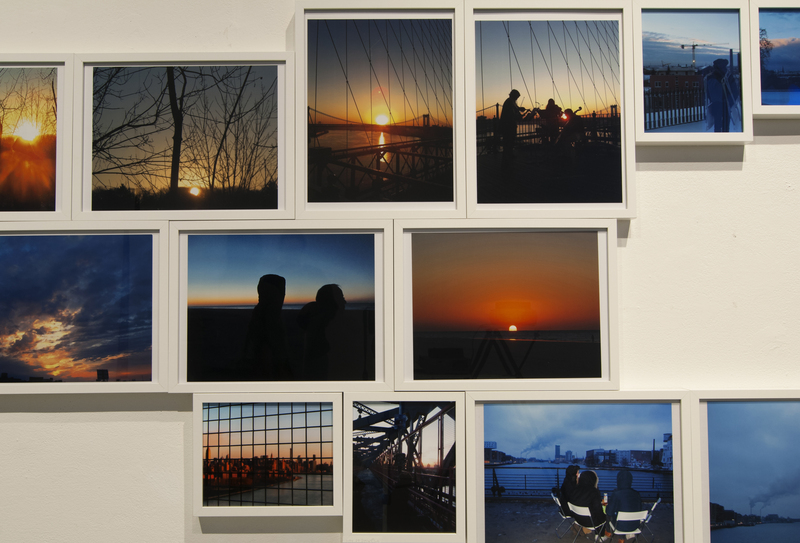 Participants are welcome to join these Sunrise Tours at www.sunrisetoursnyc.com as well as view the ongoing archive online. The idea to gather together these specific works and cover topics of this kind comes from the history of the Essex Market itself. In 1940, a dedicated building was erected with the singular, and rational, objective to ease congestion caused by pushcart vendors that “crowded the city streets, making it difficult for police and fire vehicles to easily pass.” Over the years, this sort of tangible function of the Essex Market has been maintained, while also becoming more conceptual in its purpose thanks to its role as social aggregator, in addition to “its intended function as a shopping destination.” Using the market as both a geographic and ideological center, Heading Southwest [About Practice#2] aims to shed light on the macro meaning of the Essex Market’s inner and parallel social functions, as a metaphor of a universal need: the human desire to discover and find the irrationality within reality, the extraordinary within ordinary and the mythology within facts, in turn revealing a fragile desire to fictionalize reality by threading together a narrative that feels more impressive than the real. Perched at the southwestern-most point of the market, the Cuchifritos space seems to be the sublimation of this Essex Market’s inner function but, above all, the place where, exhibition by exhibition, a theory on this role is visually produced. So, its position in the Essex building represents an ideal direction, a metaphoric destination to go to, as well as a mythical geography that points the way to observe, interpret and follow the reality surrounding us. 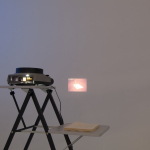 Heading Southwest [About Practice#2] is part of the large-scale curatorial project by Italian curator Alessandro Facente entitled About Practice, a series of group shows about ongoing studies and theories on the artist’s practice in relation to reality. 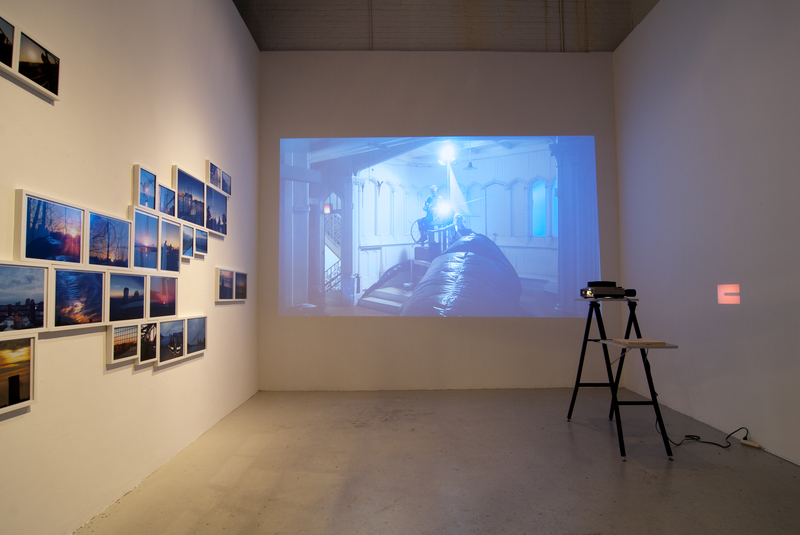 As a chronological stratification of stories composed over time, the artist’s practice is can be understood as an argumentative substrate in its own right, which prompts the curator to critically outline the philology of the show starting from the topics which first arise from the artist’s practice itself. Such a joint approach of production and theory transforms About Practice into a series of exhibitions focused on the notion of concept, its role and position in the artwork as an intrinsic consequence of constant activity that develops its own theory as it unfolds. Alessandro Facente (born, 1982) is an art critic and independent curator who lives in New York and works between New York, Imlil (Morocco) and Italy. His research is based on the crossover and interplay of art criticism and curating by following the artists’ creative process from the concept to the final creation of the piece of art. The aim is to become a witness and critical voice from inside their practice in order to critically outline a philology belonging deeply to it. Facente holds an M.A. in Art History and Contemporary Art from La Sapienza University in Rome. Since 2014, he is the Special Projects Curator at NARS Foundation in New York and since 2011, he has been curating the artist residency program of the Atla(s)now project in the berber villages on the Atlas Mountains in Morocco. Facente was selecting curator for the 2015 Furla Art Award. Until now, Facente has curated independent projects, exhibitions and panel discussions in non-profit spaces, foundations, private galleries and international events including the 5th Marrakech Biennale, Tranzitdisplay in Prague, VOLUME! Foundation in Rome, École supérieure des arts visuels (ESAV) in Marrakech, Residency Unlimited and The Andrew Freedman Home in New York. His articles, interviews and essays have appeared in art magazines and online platform such as Artribune, DROME magazine, Exibart, LaDifferenza and Seoul Art Space_Geumcheon (South Korea). Really Large Numbers (RLN) is a laboratory that encompasses the individual and collaborative experiments/expeditions of Chad Stayrook and Julia Oldham. Early in 2011, the two artists spontaneously began to dream about each other as characters in mythical dream adventures. Soon after the development of their Dream Thread, they had a series of discussions that led them inexorably into a collaborative relationship. Really Large Numbers always establishes a laboratory as their base of research and making, and they engage in laboratory experiments to understand their surroundings. Using technomagical devices designed by Stayrook, Oldham unlocks secrets from landscapes. Using coyote skulls as a medium, the artists reveal dreamtruths, and they charm insects with bone instruments. As a team, Really Large Numbers combines science, fantasy and dream language to blur the boundaries between the REAL and the unREAL. 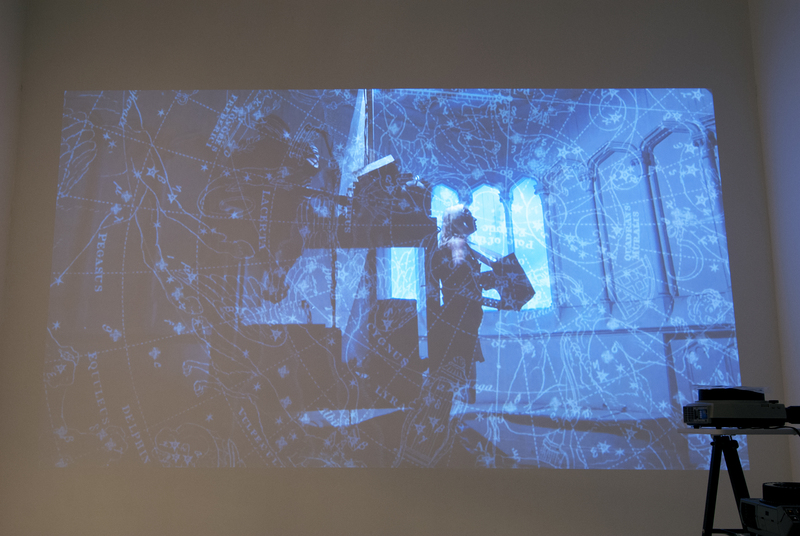 Rebecca Howard is an artist and producer from the U.K; her practice seeks to explore notions of dialogue and interaction, as well as the efficacy of forms such as sound, printed text and symposiums in establishing a new mode of exchange. 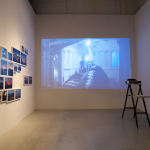 In the Autumn of 2013, Rebecca was a Resident Curator at Node Centre for Curatorial Studies, Berlin. This year her writing was featured in Oblivion, a book published by Broken Dimanche Press to coincide with the exhibition Oblivion, curated by Elisa Rusca, at Zweigstelle Gallery, Berlin. Most recently Rebecca presented new works in a group shows at Embassy Gallery, Edinburgh, Scotland. Born in 1985 outside of Los Angeles and grew up in the suburbs of Washington D.C., Katrina Neumann works internationally as a visual artist. For Katrina Neumann, the idea comes before the medium and long-term project. Her post-studio practice sways in between disciplines that deals with Romanticism. Her critique of ecological issues critically turn the focus back onto the need to keep fighting for the preservation of our environment in the light of current events. 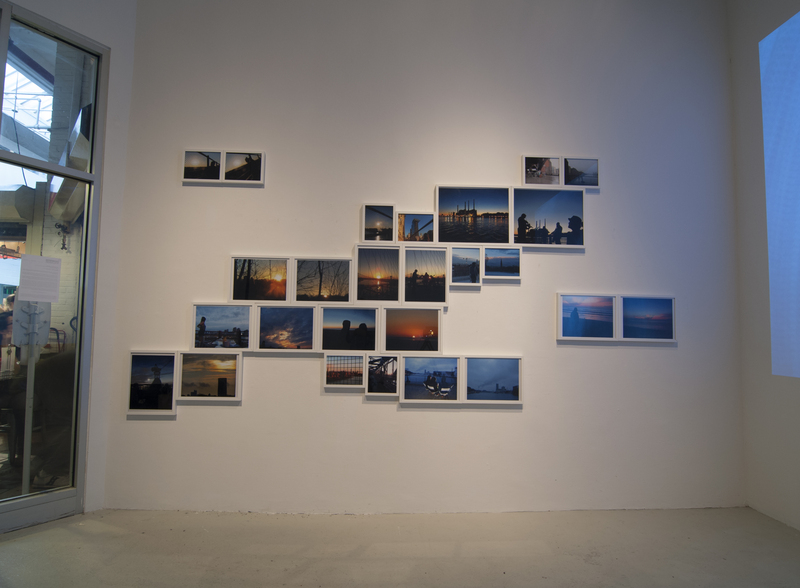 By utilizing Disaster Relief Volunteering as field research, Neumann reflects on the loss of space, the destruction of environment, urban civilization, and the temporal all while toying with the ideology of time and the effects of technology. She received her B.F.A from SUNY Purchase College and her M.F.A from SMFA and Tufts University. Her work has been featured in the juried-in-print exhibition New American Paintings, Radio Context, WNYC, Whurk Magazine and Berlin Art-Parasites. 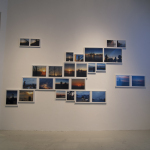 Her curatorial work has been reviewed in ArtNews. She is affiliated with Flux Factory, Elsewhere Museum, CAC Woodside, LMCC, Creative Capital, Artists Alliance Inc. and All Hands Volunteer. Neumann is the Founder and Chief Editor of Rate My Artist Residency. This growing resource provides a platform for artists to socially and critically engage in conversation about artist residencies worldwide. 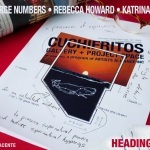 The website has been featured in ArtFCity, BlouinArtInfo, Artspace, China Residencies, CMagazine, and NYArts Magazine.